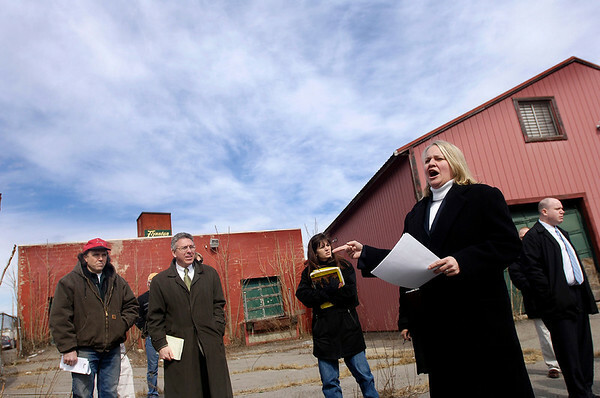 Julianna Tache, right, of Tache Real Estate in Salem, auctions off the Flynntan property on Boston Street in Salem Wednesday morning. Tache was hired buy the city to conduct the auction on the cities behalf. Winning the bid was Jon Penni of Boxford, shown left with red hat, next to him is Scott Grover, a local attorney hired by the city for the auction.